Proofreading and Editing Services - Polished. My careful proofreading and editing services along with my eye for detail provide grammar-free, typo-free materials that help you present a professional image. Whether you’re a small business, large company or nonprofit organization, your clear message is important to gaining and retaining clients. Comprehensive – Correct spelling, grammar and punctuation; consistency in voice, references, hyphenation, numbers, fonts and sequencing; consistency in style, tone and active voice. Substantive – Consists of all Comprehensive Services while improving organization, readability, transitions and format. Every time you write a letter, email, report, etc., it reflects the way you present yourself. This can translate into how much you care about what you’re writing, the intended recipient or ultimately generating business. 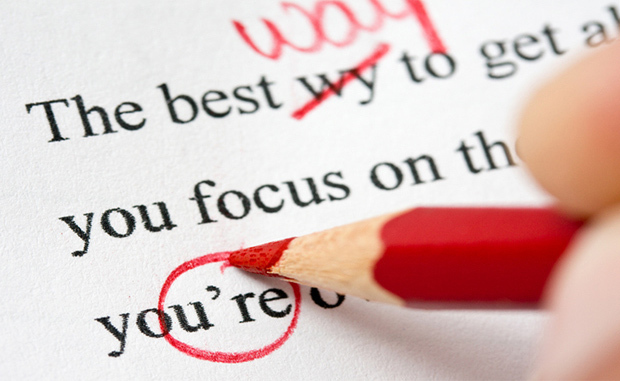 It can be easy to overlook errors in our own writing, because we’re so close to the material. After a thorough review on your own, ask someone else to proofread your document. Often, he/she will find something you overlooked. You hit so many points pertinent to providing great communication and customer service for our members and their businesses. It was very engaging and motivational! It was also nice to be reminded what affect some of the simplest behaviors can have on a positive or negative outcome. I’d highly recommend Nancy and her company Polished for her marketing and communications expertise. Nancy has designed and written our annual report for the past two years, and I couldn’t be more pleased. Nancy is a consummate professional, and I look forward to a continued working relationship. Thank you for making yourself available to our leadership team with a relatively short turnaround time. The presentation was spot on and very timely in anticipation of our upcoming event. In fact, your presentation was referenced twice before I even got back to my office! It was extremely beneficial. Nancy did a fabulous job of tailoring her vast knowledge of social skills to our group. She made it fun, interesting and very interactive. The interaction of the group, facilitated by Nancy, was extremely valuable! We’re looking forward to using all we’ve learned and to the next class!